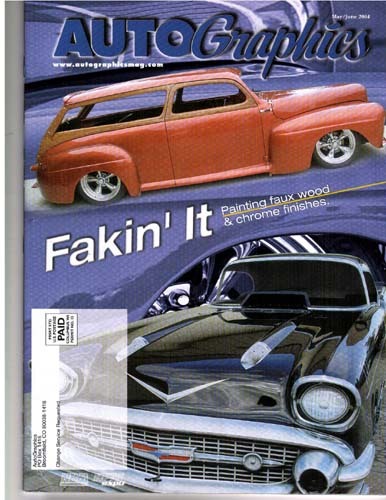 The sixth cover for Autographics, Kal Koncepts/Air Syndicate continues to lead the industry in innovative designs, techniques, and style. Check out the Faux-finished chrome trim on the 57 Chevy funny car. 100% airbrushed.